Ah, Fat Tuesday, when Americans nowhere near New Orleans suddenly decide they simply must get in on the Mardi Gras fun. 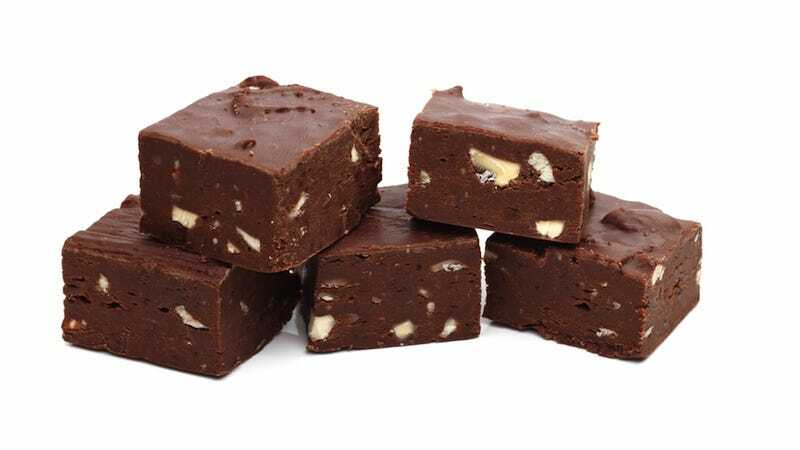 For instance: A Missouri candy shop is offering fudge to anyone who weighs more than 300 pounds. "Walk, run, waddle, or ride your motorized wheelchair down to the Route 66 Candy Shoppe!" the Facebook page for the Route 66 Candy Shoppe urges. "We are not trying to make a statement or do anything to offend anyone," he said. "We just thought it was a good way to invite people to come in and have a good laugh." Debra Czuprynski, I can't thank you enough for all the free publicity. I was shocked to find out we made news in Ohio, Kansas City, and elsewhere, but can you imagine how thrilled I was to see our lil' ol' candy shoppe was featured on CNN!?! You're a peach! I'm tempted to be upset with Mr. Dill for dealing in old tired old stereotypes about fat people and our motor scooters. Come on, dude. On the other hand: free fudge.